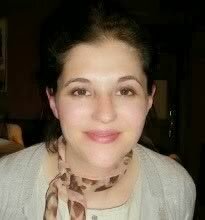 Anita Chapman is a freelance social media manager with clients mostly in the world of books, and since the launch of neetsmarketing in December 2014, her clients have included Corazon Books, Jane Corry, Eliza Redgold, Libertà Books, Ellie Darkins, Simon Michael, Anna Belfrage, J.F. Kirwan, Helen Matthews and Sue Bentley. Read endorsements from former clients here. 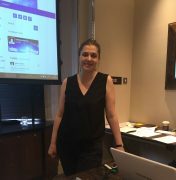 More recently (2019), Anita has started to work for small businesses locally and is able to do training in Surrey, London or via Skype/phone. Find out about Anita’s Training, Assistance, Promotion packages for authors, publishers and organisations in the book world here. Anita has run Social Media Courses for Writers in London and Surrey since April 2015 (and in York since April 2018), and she has worked as a tutor at Richmond and Hillcroft Adult Community College, Surrey (UK). Find out about Anita’s next one day course in London on 15 June 2019 here. Anita’s neetsmarketing blog on social media for writers and book marketing was launched in January 2015 with first (and most popular) post My Beginner’s Guide to Twitter for Writers, (updated and expanded in 2017), and her posts are inspired by questions asked by clients and course attendees. Several authors have written informative posts about social media and book marketing for this blog including: Liz Fenwick, Sue Moorcroft, Jane Holland, Alison Morton, Talli Roland, E.M. Powell, The Romaniacs, New Romantics Press, Julie Stock, Liz Fielding; and book blogger Anne Cater has answered questions about the Book Connectors Facebook Group for book bloggers and authors. Anita’s writing and social media blogs were mentioned in the October 2017 issue (192) of Writers’ Forum magazine by Della Galton on her Dear Della advice page. In March 2018, Anita wrote a post for Emma Darwin’s blog, Overcoming the Social Media Fear (as a writer). Anita was a finalist in The Write Stuff competition at The London Book Fair in April 2018. In this interview on Brooklands Radio (17 April 2018) for Jackie Mitchell’s show, Anita talks about The Write Stuff, her courses and more. Anita tweets @neetsmarketing, with updates on social media for writers, book marketing and book news; and she posts the most useful and interesting articles found on her neetsmarketing Facebook Page. See the About page for more information on Anita and her writing.